Pirates of the Caribbean is one of the most "classic" attractions at Magic Kingdom. The whole area is incredibly well themed. 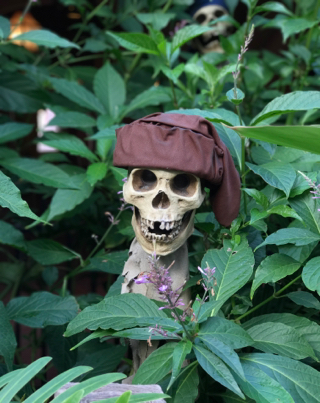 This pirate skull can be found amongst some vegetation to the left of the entrance.